Vom Issam Haus is a small German Shepherd breeder Ontario that produces registered German Shepherd puppies from high quality German Shepherd pedigrees. We are dedicated to Breeding quality German Shepherds, and offering our clients excellent German Shepherd puppies that are healthy, sound, and of impeccable temperament. We offer our clients purebred German Shepherd puppies that are registered with the Canadian Kennel Club and/or the Verein für Deutsche Schäferhunde (SV) in Germany. Our German Shepherd puppies are excellent for families, love children, and are easily adaptable to any environment. Our puppies have super character, rich black and red colour. They are raised in our home and are properly socialized before they go to their forever homes. Vom Issam Haus German Shepherd puppies are handled several times a day, every day, from when they are born until when they leave our home. 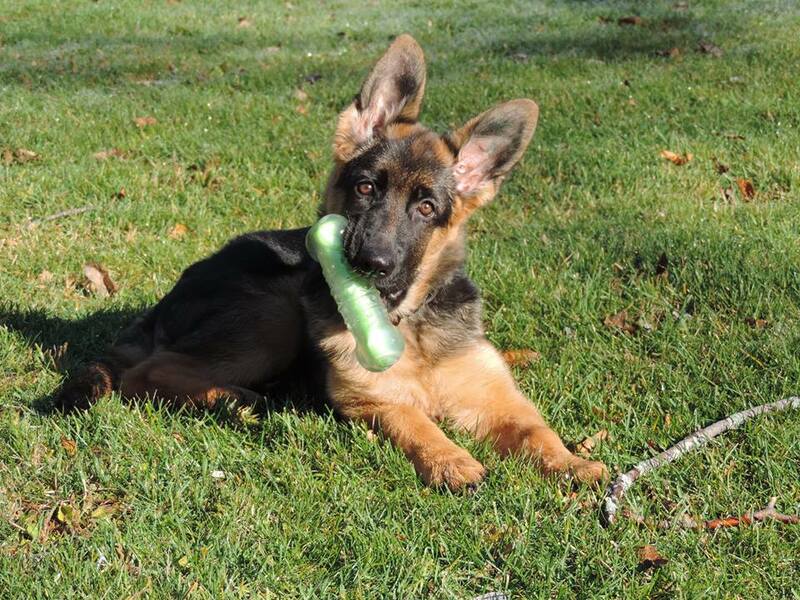 We believe that proper socialization is crucial to our German shepherd puppies’ development and wellbeing. Our puppies are exposed to many different environments, so by the time you pick your German Shepherd Puppy they will be properly socialized with people and other dogs, exposed to car rides, and of be super confident to start exploring life with you. Vom Issam Haus German Shepherd puppies are big boned, black and red in pigment with very sound temperament and possess super play drive. Our German shepherd puppies will be of correct structure. They are perfect for pet companion, show ring or Shutzhund. We are passionate about our work and are dedicated to our German Shepherds. We strive to produce German Shepherds that excel in Shutzhund, personal protection while, still making ideal companions or family pets. Vom Issam Haus stands behind their puppies, our German shepherd puppies are guaranteed for LIFE. We stand behind our German Shepherd puppies and our clients.